The purpose of this post is not to make any kind of political statement. We are not trying to say one side is right or one side is wrong. The purpose of this post is to simply show mathematically something that politicians should understand. More importantly, you as a financial professional should understand this because the impact of taxation on our wealth is significant – significant enough that positioning our money in a tax-advantaged situation is one of the most competitive advantages possessed by whole life insurance. Because I have put my time travel invention in the high-wheeled motor buggy, I offer you a unique opportunity to travel with me back to the year 1912. Without a second thought, you jump in the buggy and after a very exciting ride, we arrive in the year 1912. To see your city as it was more than one hundred years ago is very strange. As you stand there taking it all in, you notice a strangely familiar man walking down the street. As he gets closer, you recognize him as your paternal great-grandfather. You approach him and talk to him for a while. After few minutes, I inform you it is time to return to our time, but just before we leave, you hand your great grandfather all the money in your wallet ($500) and ask him to invest it for you. As you are traveling back to the present time, your mind is racing, trying to calculate how much money you will have when you arrive back in 2017. 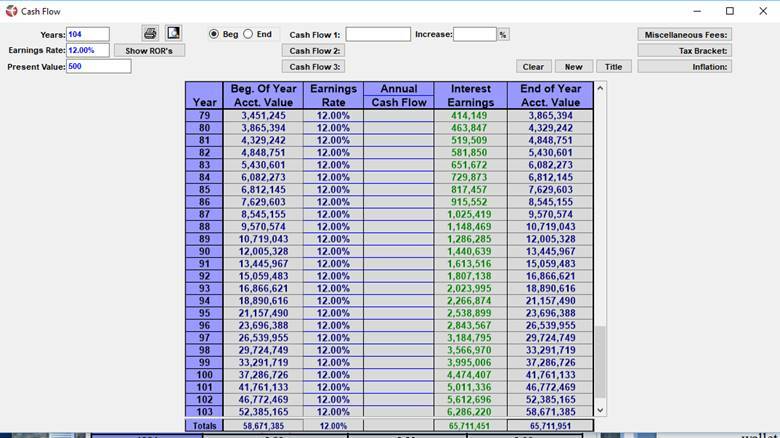 Once back to the present time, you return to your office and quickly open a Cash Flow Calculator to help you determine what the balance of your brokerage account should be. Entering the number of years (104) it has been since 1912, an average rate of return of 12%, and your starting value, you are astonished to see that you should have $65,711,951. All your money worries dissipate instantly. But the smile leaves your face when you realize you still have to pay taxes on all that money. But what tax rate you should use? 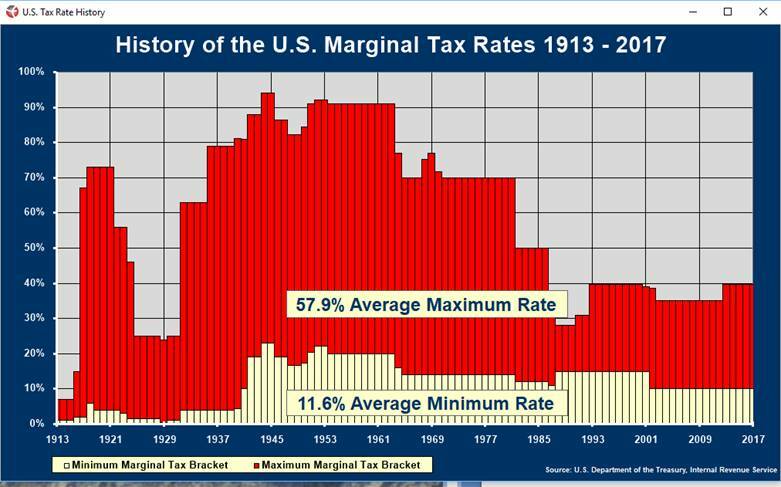 Thankfully, within the software is a historical graph showing you exactly what the tax rates have been since 1913. As a first guess, you use the average maximum tax rate of 57.9%. You normally do not curse, but what happened to all that money? Did it just disappear into thin air? The reality is, taxation stunted the growth of the money so much you would only have $84,143. This is a far cry from the $65 million you had originally calculated. But get beyond yourself and take a look at this situation from a macroeconomic point of view. We live in a society wherein there are needs – needs for roads and bridges and all those things specified under the term “common good.” Those needs require funding. Since 1913 the so-called solution to sourcing the funds has been an income tax. But wouldn’t the best solution be one in which everyone – you and the government – get the most money? In this scenario, the government would collect 15 times as much in tax dollars. Why wouldn’t a politician vote for a tax rate that would increase the revenue for Uncle Sam as well as increase what individual Americans are able to keep? 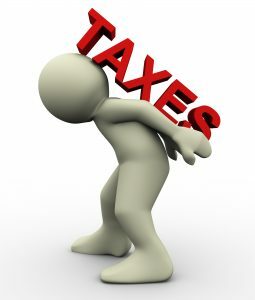 Go ahead and play around with the tax rate and you will eventually find an optimal tax rate where you and the government receive the largest amount of money from the paying of taxes. But you must be careful here. The optimal tax rate is dependent on the assumption you make in the earnings rate. If the annual earning rate changes to say 8%, the optimal tax rate will also change. Care to venture a guess where the optimal tax rate is if you take an even bigger macroeconomic view, i.e. 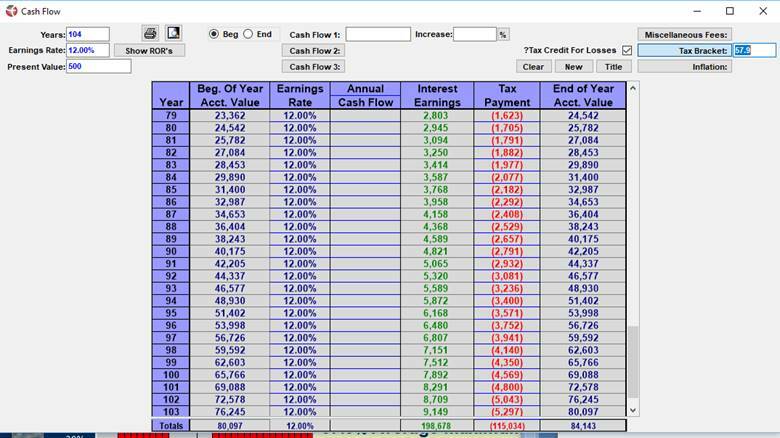 several different earnings rates? So what good is that information? Well for starters you have successfully reproduced what is called the Laffer curve. 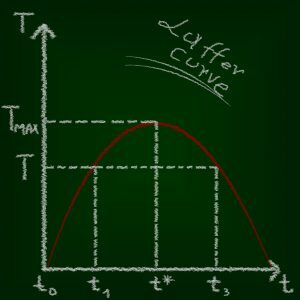 The Laffer Curve is a theory developed by supply-side economist Arthur Laffer to show the relationship between tax rates and the amount of tax revenue collected by governments. The curve is used to illustrate Laffer’s main premise that the more an activity such as production is taxed, the less of it is generated. You still must ask yourself; do you now have the whole truth? Math is Math, but math is not real life. You are a financial professional, not a tax collector. Your job is to help your client build their wealth, not Uncle Sam’s. The best scenario for the individual was when no taxes were taken. So, here is your chance to correct the error of your ways. You are offered one more trip back to 1912. Are you going to tell your great-grandfather to get a higher rate of return or invest the money where it will grow unfettered by taxation? Why would you do anything different for your clients?